We are a diverse team of strategists, designers, innovators and technologists. Our team have global experience working across strategy, business transformations, corporate innovation programs, digital & emerging technologies, and venture-building and technology commercialisation projects. We have a shared passion for innovation; applying our knowledge to rapidly, efficiently and sustainably create value for our clients, whilst having a broader positive global impact through our B Corp commitment. Trey leads all aspects of Venturetec’s global business development, capability development and client delivery. Trey is a globally experienced consulting executive, startup advisor, and a specialist in innovation and growth strategies, corporate venture capital and technology commercialisation. He has over 15-years experience developing and executing strategies to launch, grow, scale, turn-around and divest of businesses across a range of industries. Trey has been involved in several large-scale business and technology transformation programs across the Asia Pacific region. Previously, Trey was a co-founder of VanceInfo Technologies Australia, which was acquired by global private equity firm Blackstone and subsequently sold to HNA Group; in this role he led the growth of the Teleco, Media & Technology business unit in APAC. In addition to his role at Venturetec, he has served on the expert panel for the Australian Government entrepreneur program, and as adjunct faculty for Hong Kong PolyU's grad program in management consulting. Trey holds a Graduate Diploma of Applied Finance, an Executive MBA from the Australian Graduate School of Management and is a Fellow of both the Australian Institute of Management and the Financial Services Institute of Australasia. Vivian manages Venturetec’s business operations and provides corporate advisory services to clients. Vivian is a Chartered Accountant and experienced C-level executive, with deep expertise in the technology sector in Australia. She has over 25 years experience in a range of roles within the professional services sector, and has successfully led several M&A transactions and ASX-listings including two of Australia's most successful listings of IT services companies; SMS Management & Technology in 2004 (ASX: SMX), and DWS in 2006 (ASX:DWS). Previously, Vivian was a co-founder of VanceInfo Technologies Australia, which was acquired by global private equity firm Blackstone and subsequently sold to Chinese conglomerate HNA Group; in this role, she lead the merger integration between VanceInfo and BearingPoint (ex-KPMG). In addition to her role at Venturetec, she serves as the appointed Australian Director of several NASDAQ-listed bio/med-tech companies. Vivian holds a Bachelor of Commerce, a Graduate Diploma of Corporate Governance, is a Graduate of the Australian Institute of Company Directors, and is a Fellow of the Institute of Chartered Accountants. Deirdre leads Venturetec’s office in Sydney. Deirdre is an expert in building future-growth investment strategies, business model innovation, culture transformation and practical executive coaching. She has over 25 years experience across retail banking, wealth management, investments, insurance, financial advice, product innovation and Fintech. 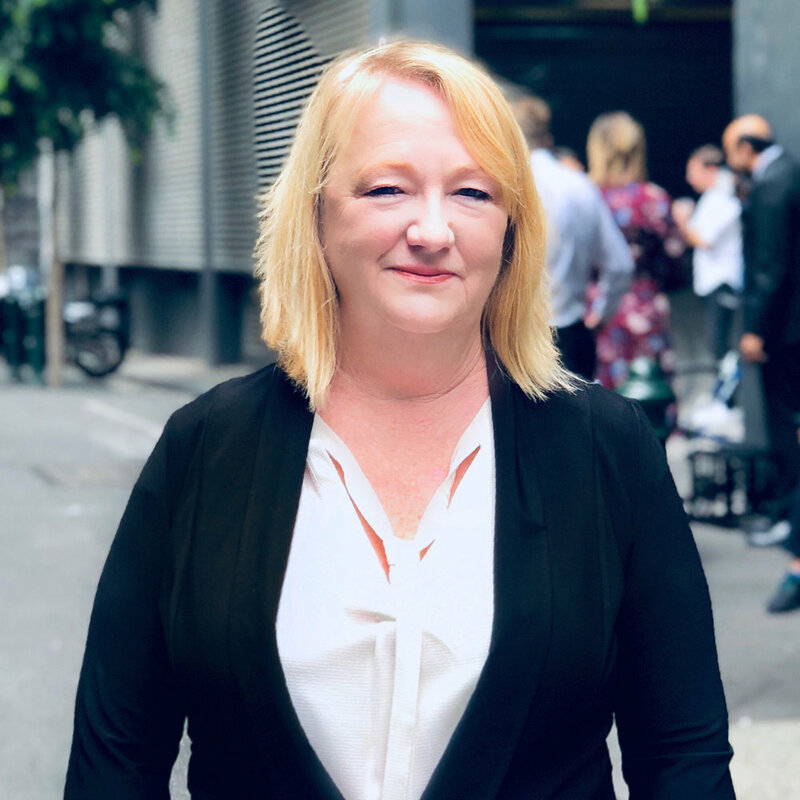 Previously, Deirdre was the Head of Citi Bank’s retail banking and wealth management business in Australia, and prior to that she was head of private wealth advisory and specialised investments at NAB and held national distribution roles with Macquarie Bank. In addition to her role at Venturetec, she mentors student startups at UNSW, USYD and UTS; as part of her commitment to empower young Australian’s to create and explore their own opportunities. Deirdre is a graduate of the Australian Institute of Company Directors (GAICD) and serves as an Independent Non-Executive Director and Investment Committee Chair at MINE Super and Chair of Firetrail Absolute Return investment fund. Marianna leads Venturetec's lean innovation practice. Marianna is an expert in the practical, real-world application of design thinking, lean Innovation and business model design methods. She has over 10 years global consulting experience in design, innovation and tech commercialisation, as well as marketing and product development experience in social media and Govtech startups. Previously, Marianna was the Australia Country Head for Usability & Design Lab (Beijing), a China-based UX design firm. Her recent experience includes coaching corporate innovators and startup teams at CSIRO's Lean Launchpad, GE FastWorks program, Generator@GE accelerator, Australia Post Accelerator, and the Hult Prize global social enterprise accelerator. Marianna has trained with global innovation thought leaders including Alex Osterwalder (Strategyzer), Steve Blank (Stanford) and Brant Cooper (Moves the Needle); she studied Property and Construction at the University of Melbourne and is currently completing an executive MBA at the Australian Graduate School of Management. Samantha is an expert in customer strategy and marketing of professional services and complex B2B solutions. She has over 15 years experience in the ICT, professional services, retail and logistics industries in Australia and Europe. Previously, Samantha worked in product commercialisation at Australia Post, and prior to that was a Senior Consultant for a B2B marketing consultancy agency and the EMEA Marketing Director for the consultancy founded by Drs. Kaplan and Norton (creators of the Balanced Scorecard methodology). As a Principal Consultant at Venturetec, she has been training and coaching corporate innovators in future ways of working. Samantha is currently completing the Masters in Entrepreneurship and Innovation program at the Australian Graduate School of Entrepreneurship at Swinburne. Carl is an experienced consultant with expertise in data and financial analysis, business design and quantitative modelling. He has over 7 years experience in professional services firms in strategy, corporate advisory, innovation and technology. Previously, Carl worked in corporate advisory in China, performing in-depth market and financial analysis for M&A transactions in the mining sector. As a Senior Associate at Venturetec, he has worked on client engagements across the Asia Pacific region performing innovation diagnostics, market sizing and competitor analysis, and business case validation activities to launch new ventures. 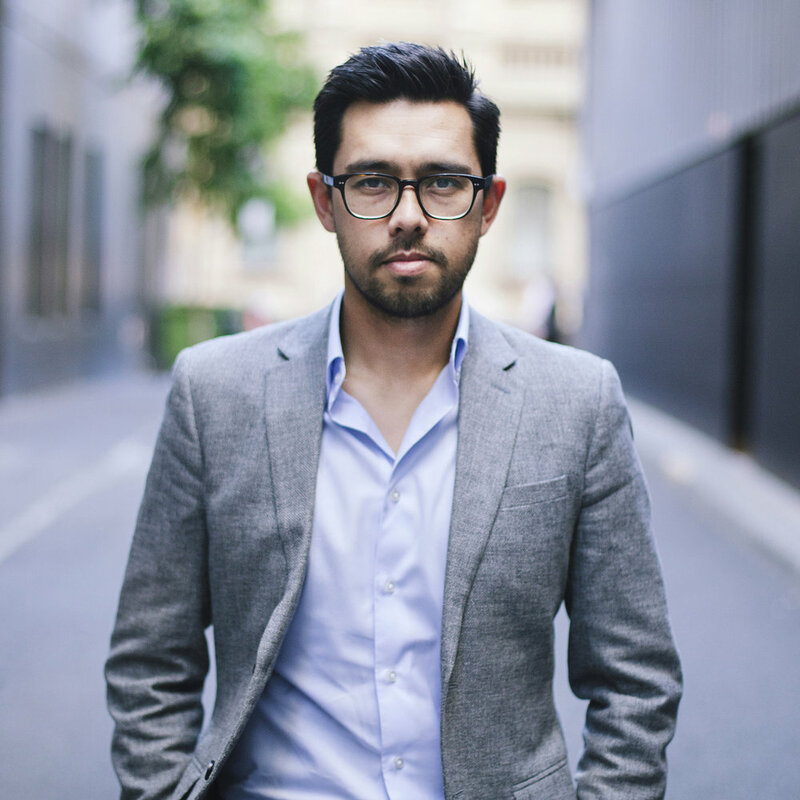 Carl holds a Bachelor of Arts majoring in both Economics and Chinese studies from Monash University, and a Masters of Applied Finance from the University of Adelaide. Lauren is an experienced business designer and UX researcher who is highly proficient in applying design-thinking and lean innovation methods to gain valuable customer insights. Previously, Lauren worked in UX research at Australia Post, and digital strategy at global creative agency AKQA. As an Associate at Venturetec, she has worked on client engagements in Australia and Singapore; supporting venture-building projects as a business designer, and coaching corporate innovators in training bootcamps. Lauren holds a Bachelor of Business majoring in Marketing from RMIT University, completing part of her degree in China at both Fudan and SUIBE Universities in Shanghai. She is also active in the Melbourne startup ecosystem and design community. Elle has a unique background in science, data analytics and business development. She is an experienced practitioner in lean innovation and business model design methods. Previously, Elle worked at the Commonwealth Scientific & Industrial Research Organisation (CSIRO), where she assisted deep technology and scientific researchers to commercialise technology/intellectual property. As an Associate at Venturetec, she has worked on client engagements in Australia and Singapore; supporting corporate innovation teams to create new products, services and business models. Elle holds a Bachelor of Science Advanced Global Challenges with Honours from Monash University, a degree for high-achieving science students to use science to influence business, government, the not-for-profit sector and the wider community.